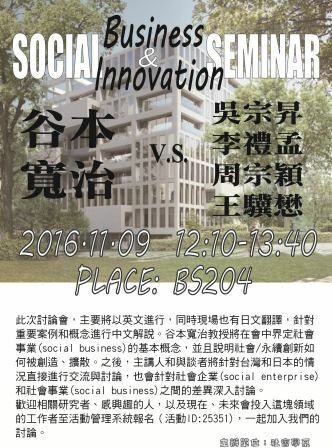 11/15 Special Lecture for Master students, National Taipei University. 3/8 Interview, "Is Japan ready for social innovation? ", Opinion, Japan Today. 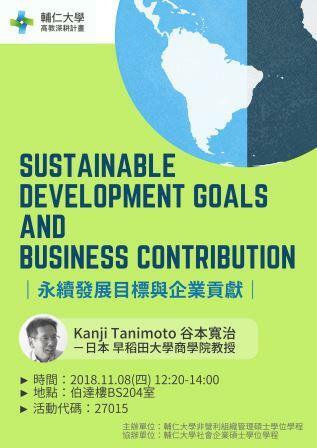 11/5 Special Lecture, College of Business, National Taipei University, Taipei, Taiwan. Transnational Corporations in the Extractive Industry Operating in Conflict States: How Far Should Corporate Citizenship Extend? 6/28-30 German-Japanese Young Leaders Forum 2012, Challenges of Leadership in Risk and Crisis Management, Munich.